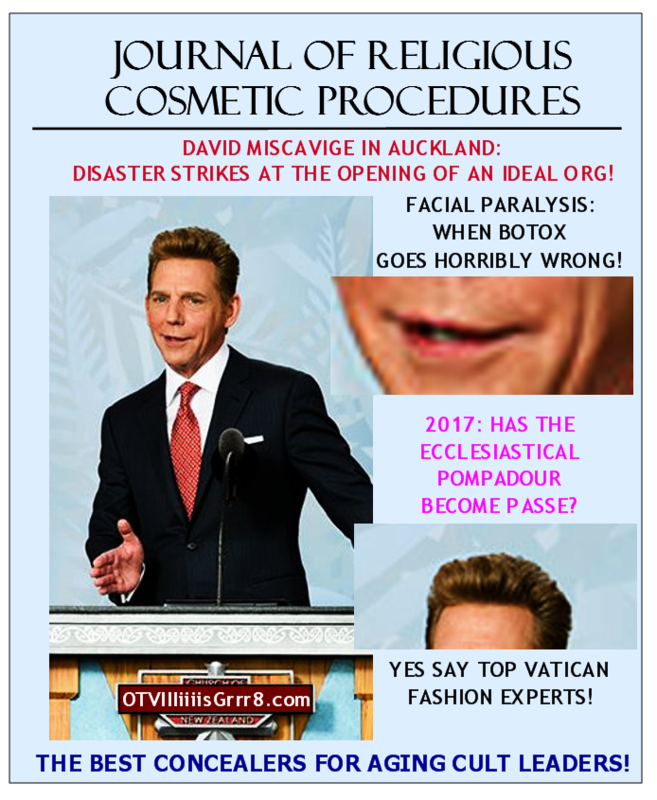 Journal of Religious Cosmetic Procedures – OTVIIIisGrrr8! I think you are totally incorrect. There have been no cosmetic surgeries for beloved Captain DM. But I would love to know where the location is of the portrait of DM is that is aging while he stays young. Which vault in a top secret location is the storage place? COB wants to look just like his father, Xenu!! If that is not possible he will settle for looking like Michael Jackson! COB — the aging crime boss! !